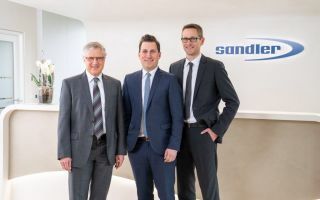 Sandler AG from Schwarzenbach/Saale, Germany was once again voted one of “Bavaria’s Best 50”. The Bavarian Ministry of Economic Affairs awards this distinction to the fastest-growing, privately owned medium-sized companies. Ilse Aigner - Bavarian State Minister of Economic Affairs and Media, Energy and Technology and Deputy Minister-President of Bavaria - presented this award to President & CEO Dr. Christian Heinrich Sandler and his wife Bärbl Sandler, Head of Chief Human Resources Officer. 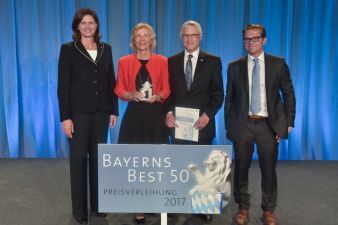 The Ministry of Economic Affairs’ award for medium-sized companies “Bavaria’s Best 50” is conferred on companies, who managed to increase their revenues and number of employees above average within the past five years, and additionally report good earnings at the date set. This award also focuses on the company’s economic and social importance. Within the past five years the number of employees increased by 35% and revenues rose as well. Today, Sandler ranks among the 20 largest nonwoven producers worldwide and is one of Europe’s market leaders in this sector. 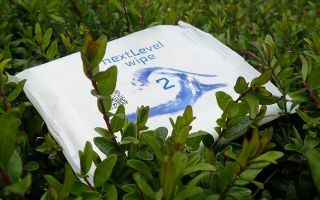 Together with clients and partners, Sandler develops nonwovens for various applications in the markets construction, engineering, filtration, home textiles, hygiene, transportation and wipes.